How do you turn your healthy living goal into reality? Here are a 5 tips from the RD Coaches. You can’t know where you’re going if you don’t know where you’ve been. Eating well and living healthier is a cumulative process. Just because you had cheese cake one evening (or for breakfast, no judgement) doesn’t mean everything’s in the toilet. On the other hand, having an arugula salad with grilled chicken and your favorite veggies doesn’t mean you’ll be at your ideal weight tomorrow morning. Journaling gives you perspective. Being able to look at the choices you’ve made gives you insight into what the next decision should be. Recognize the times you could have made a better decision and give yourself credit for the good decisions you did make! One of our clients recently told us that this concept was a game changer for her. Changing her mindset from following a diet to adopting habits helped take the pressure off of her, and allowed her to enjoy her food without worrying whether she’s "on" or "off" the wagon. Why does it work? It tends to be more sustainable than following a restrictive diet. At RD, we follow Precision Nutritions’ Lean Eating Habits. These become guidelines to follow. As long as the food you’ve chosen meets the requirements of that meal, you win! For example, one habit advises eating carbs after a workout. So, if you want to eat pasta, that’s perfectly fine. Eat it after a workout so your body can use the carbs constructively. Then, you can start to plan your meals to meet the habits they recommend, lose fat, and not restrict yourself to the point you want to pull your hair out. We like you with hair. We’re a gym, so we have to include something about the benefits of resistance training. The biggest impact weight lifting has on fat loss is the “after burn.” Studies have shown that your metabolism is elevated hours after you’ve lifted weights. That means, not only are you burning calories during the workout, but afterwards as well. For those of us trying to maintain or lose fat, this comes down to over coming what we’ve all been programmed to believe. Eating less means a lower scale weight. In some regards this is true. Avoid eating for 3 weeks and see what happens. It’s almost guaranteed weight loss! We all know this is not sustainable, and is actually counter productive. The trick is to eat the right amount of food for YOU. To find that amount, follow Precision Nutritions pre-requisite habits, eat slowly and stop at 80% full. Another option is using a calorie counting app to track how much you should be eating for your height and weight. An under appreciated tool in the fat loss game is sleep. In a University of Chicago study, participants went through 2, two week cycles of sleep. During one cycle, they slept 8.5 hours per night, and the other cycle reduced the time asleep to 5.5 hours. When fat loss was measured, subjects lost an average of 3.1 pounds of fat with 8.5 hours of sleep, and 1.3 pounds of fat with 5.5 hours of sleep. Sleep is necessary to reset our hormones. The more we tamper with our sleep cycles, whether it’s a reduction in time asleep or quality of sleep, it’s going to put a hole in the sail boat that is fat loss. Where do should you go from here? Look over this list and give yourself credit for what you’re already doing. Then, look at what you’re not doing, and start to tackle that method. Performing all 5 of these together is a powerful cocktail, but each one on it’s own holds huge benefits for your overall health. 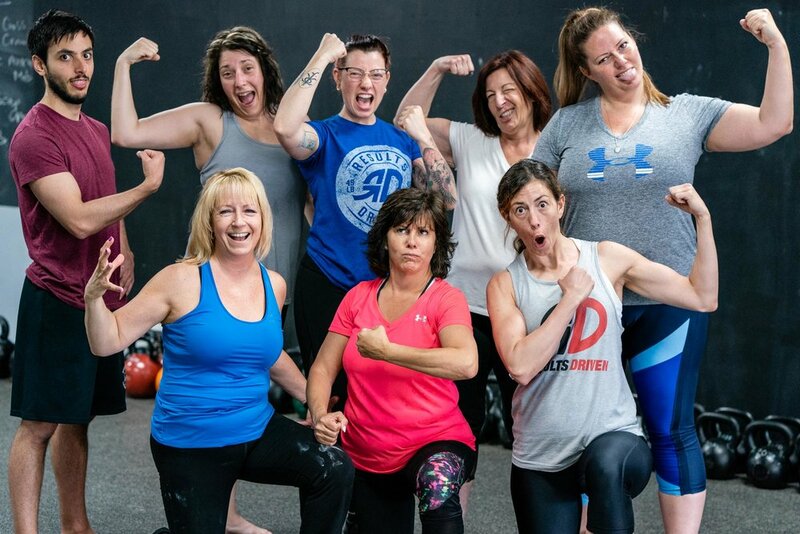 TRY A FREE WORKOUT AT RD!